For several years, students from Belmont’s College of Pharmacy have served as counselors for children’s overnight diabetes camps in Alabama and Florida, gaining fourth-year advanced practice experience and clinical course credit. This year, the College extended the opportunity for students who completed their first or second professional year of classes to serve as a counselor for a day camp, Camp Sugar Falls, located in Antioch, Tennessee. Professor of Pharmacy Dr. Condit Steil has fostered these effort for many years, both at Belmont and on a national scale. In the camp, Belmont’s student pharmacists worked with and learned from other health care providers including physicians, nurses, nutritionists and counselors. 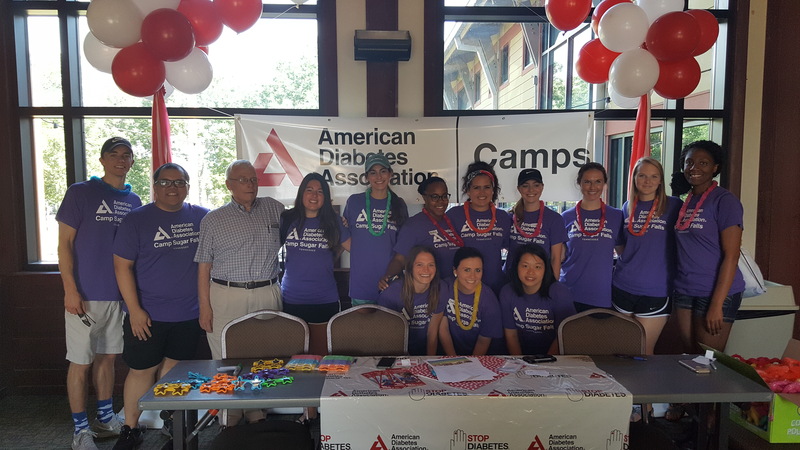 The American Diabetes Association’s Camp Sugar Falls is a day-camp experience for children ages 6 to 17 that have been diagnosed with type 1 or type 2 diabetes. Children and counselors engage in a week of recreational and educational activities that focus on nutrition, lifestyle habits, self-esteem and team building. Camp Sugar Falls takes place at the YMCA’s Camp Widjiwagan.